Billy Lot Jones was born in Chirk, Wales in April 1882. He played football for Ruabon Druids before signing for Manchester City in 1903. However he did not make his debut until the following season. That year, as a centre-forward, he only managed two goals in 12 games. In 1904 the Football Association carried out an investigation into the financial activities of the club. Tom Maley was interviewed and he admitted that he had followed what seemed like standard English practice by making additional payments to all their players. He claimed that if all First Division clubs were investigated, not four would come out "scatheless". As a result of their investigation, the Football Association suspended Tom Maley from football for life. Seventeen players were fined and suspended until January 1907. Billy Gillespie refused to pay his fine and instead emigrated to the United States. 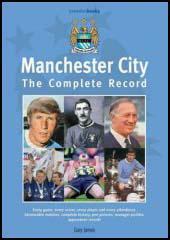 As Gary James pointed out in Manchester City: The Complete Record: "Basically, the entire squad that had finished as FA Cup-winners in 1904 and narrowly missed out on the Championship two years running were banned. This brought a premature end to City's first golden age." Harry Newbould was appointed as the new manager in July 1906. As a result of the bans and transfers, there were only 11 players available. This included Billy Lot Jones. The first two games in the 1906-07 season resulted in to heavy defeats at the hands of Arsenal (4-1) and Everton (9-1). Manchester City finished 4th from bottom that season. That year he scored 11 goals in 27 games. Manchester City finished in 3rd place in the 1907-08 season. However, Manchester United, a team that included City's former stars, Billy Meredith, Herbert Burgess, Sandy Turnbull and Jimmy Bannister won the league championship. 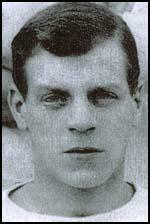 Once again Irvine Thornley was the club's top scorer with 14 goals in 31 games. That year, Jones only scored 4 goals in 24 games. Billy Lot Jones also established himself in the Welsh national team. Over the next few years he won 19 international caps for his country. Jones was not in great form in the 1908-09 season. He only managed to score 6 goals and Manchester City finished second from bottom and were relegated. In 1909 Irvine Thornley was appointed club captain. He responded well to this new responsibility and scored 12 goals in the opening 17 games. He was then seriously injured and missed the rest of the season. Thornley had built the foundations for a good campaign and by beating Leeds United 3-0 on 23rd September, 1910, they guaranteed promotion to the First Division. Hull City could still deny them the championship but they lost their final game and City took the title by one point. Jones scored 12 goals in 37 games that year. Billy Jones was a regular member of the Manchester City side during the next four season. However, he was now more of a playmaker than a goalscorer. On the outbreak of the First World War Jones left the club. After the war he played football for Southend United, Aberdare Athletic, Wrexham, Oswestry Town and Chirk. Billy Lot Jones died in 1941.